America’s birthday is just around the corner, and in celebration of all things red, white, and blue, we’re giving our wardrobe a star-spangled makeover — DIY style. 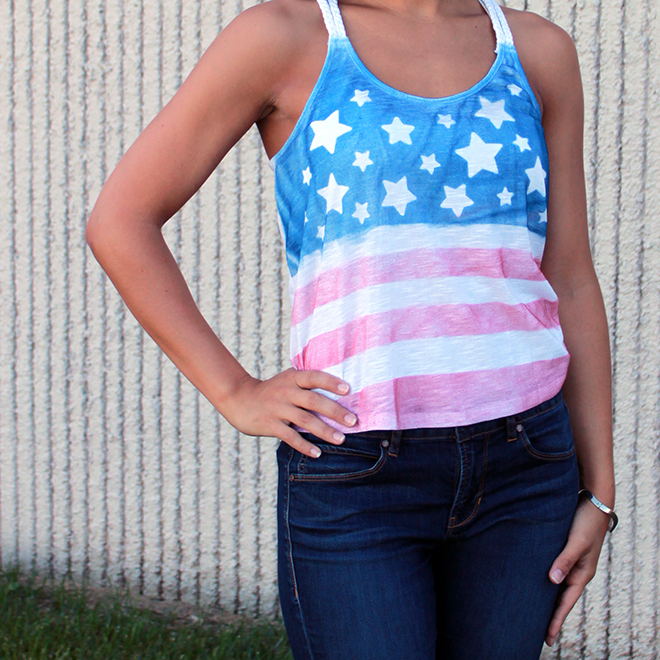 First on our list: an American flag top that can transition from a morning at the parade to a firework-filled night. Matched up with cut-offs and a pair of patriotic sunnies, we couldn’t get more all-American if we tried! 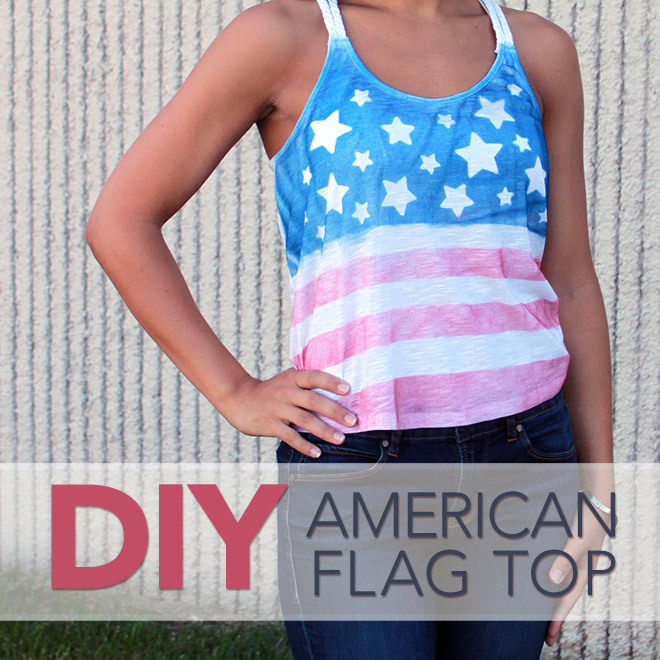 Start by taping up your tank top and applying the star stickers to create your desired American flag pattern. I chose to make the top third of my tank stars and the remainder stripes. Keep in mind: Any fabric covered by painter’s tape or stickers will turn out white in the end! 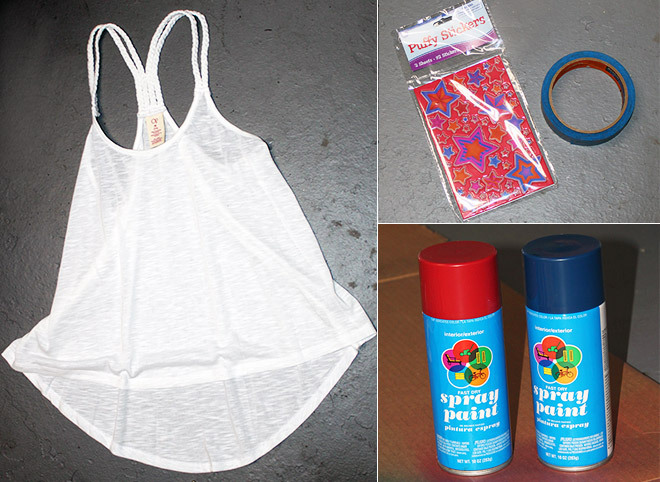 Once your tank is taped, slide a piece of cardboard inside the shirt to avoid accidentally spraying the backside, cover the stars portion with another piece of cardboard, and spray the visible stripes portion with red spray paint. For dark, solid stripes, apply a thick coat close to the shirt. For a lighter, more airbrushed appearance, spray a lighter coat from a greater distance. 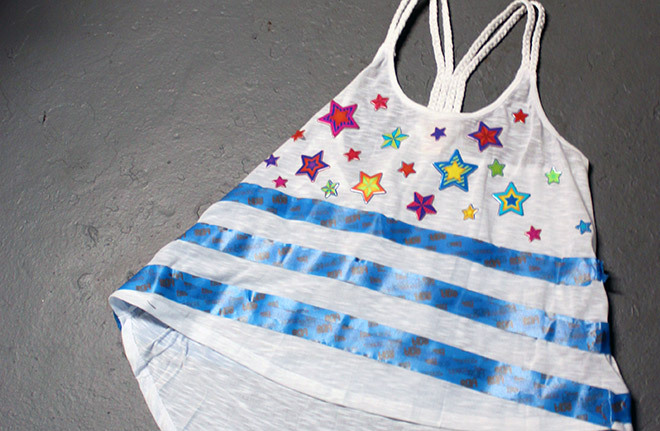 Give the red paint a few minutes to dry, then cover it with a piece of cardboard and uncover the unpainted stars portion of the shirt. Spray this section with the blue spray paint. Allow the paint to dry completely, remove the tape and stickers, and BOOM — you’re ready to party like it’s 1776! 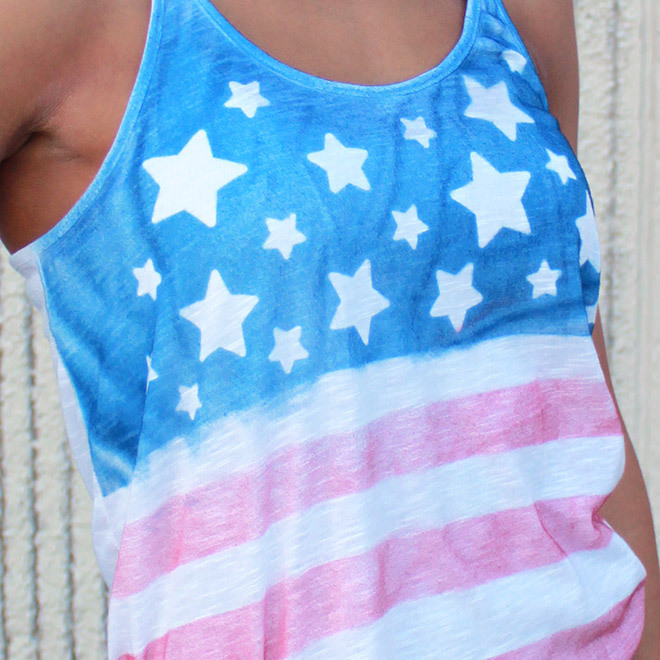 You’ve got the tank, now all you need are some patriotic shades. 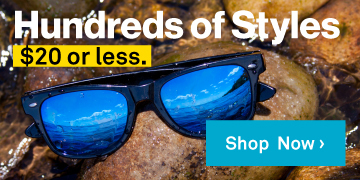 Recently Spotted: Sunglass Warehouse on TV!